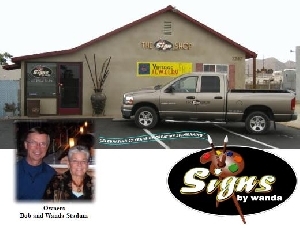 With over 25 years of hand-lettering and 40 years of graphic arts skills, the company has moved into the next generation of sign making with digital printing. We print in-house with water-based, archival inks that are laminated with hi-quality weather guard laminates for UV and outdoor protection. Each sign we make comes with a “Customer Satisfaction” guarantee.